Rhoda Belleza was raised in Los Angeles, where she grew up writing X-Files fanfiction and stuffing her face with avocados. When she’s not writing, Rhoda obsesses over nail art tutorials, watches kung fu movies, and sews together crooked things that pass for clothes. 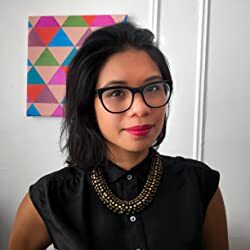 She’s a children’s editor at a publishing house and writes from a sunny Brooklyn apartment stuffed far too many bikes and far too many shoes. Empress of a Thousand Skies is her debut novel. Click here for more stories by Rhoda Belleza. 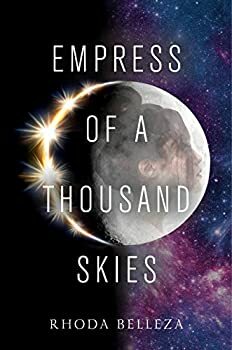 Empress of a Thousand Skies by Rhoda Belleza is a YA space opera that feels a bit like old-time science fiction with a modern sensibility, in that characterization takes a back seat to a plot that can’t really be examined too closely, but those relatively flat characters are a nicely diverse mix in terms of gender and color. Sometimes such a propulsive plot can compensate for, or at least ameliorate somewhat, flat characters, but the plot also had its issues, and so the book didn’t succeed for me, though YA readers may be a bit more forgiving, particularly younger ones.